Divine K-9 offers many solutions for helping families with dog training and behavior modification. We offer private training packages as well as group classes. This kind of individual attention is great for behavioral modification or those that need more flexibility in scheduling. You can work with us to design a program that is right for you and your dog. We will travel to most areas, but additional fees may apply. If you have been struggling with a behavior or training problem, Divine K-9 has time slots available for private sessions to address your specific training needs. We will come see you at your home to guide and train with you and your dog in your “natural setting”. Packages range in price to suit your schedule and budget. Whether the new addition has already arrived or you are still expecting, there is so much that could and should be done to prepare your dog for the new baby. We offer pre-baby and post-baby consultations, providing you with information and exercises to help your canine companion feel more comfortable with all the changes that come with having a baby. This work can help prevent future issues that could arise without guidance, awareness, and training. Need help finding a dog best matched for your family? Do you need a dog that can keep up with your lifestyle? We can help you do that. With years of experience in animal placement at shelters and with rescue groups, we have the tools and experience to find the dog or puppy that’s right for you! Whether you want to go to a shelter or a breeder, let us help you find that perfect pup. Services include interviewing you (and family), traveling to pick out the dog, and performing an evaluation. Rates range due to traveling distance, please call for further information. Does your pup have poor dog run manners? Does your dog regularly get into arguments and fights at the dog run? Do you feel pressure from other dog owners at the dog run? Let us help you teach your dog proper dog run etiquette! We use positive, creative techniques to teach your dog how to think and how to make good choices. We will show you how and when to deliver consequences for poor choices made at the dog run. We will show you how to teach your dog to control his impulses, rather than go after a dog in an inappropriate manner. You will be able to successfully call your dog out of tense situations before he gets into trouble. 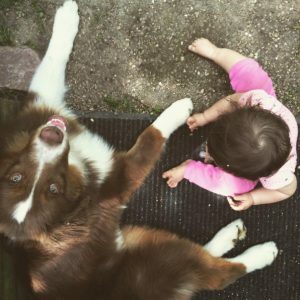 These techniques will teach your dog to be more responsive to you while forging a trusting bond between you and your pup. 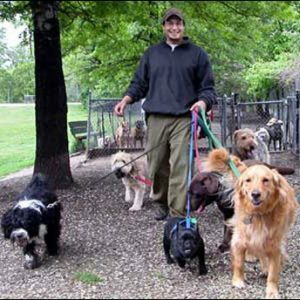 We work with you and your dog holistically so as to achieve fun escapades at the dog run for the long term. Our Dog Run Etiquette service is offered as private sessions. We will come to you and work with you in your local dog run.